Petrofac and Alstom / GE jointly secured a £135m contract for the manufacturing, installation and commissioning of offshore (Petrofac) and onshore (Alstom / GE) sub- stations for the Galloper Wind Farm. 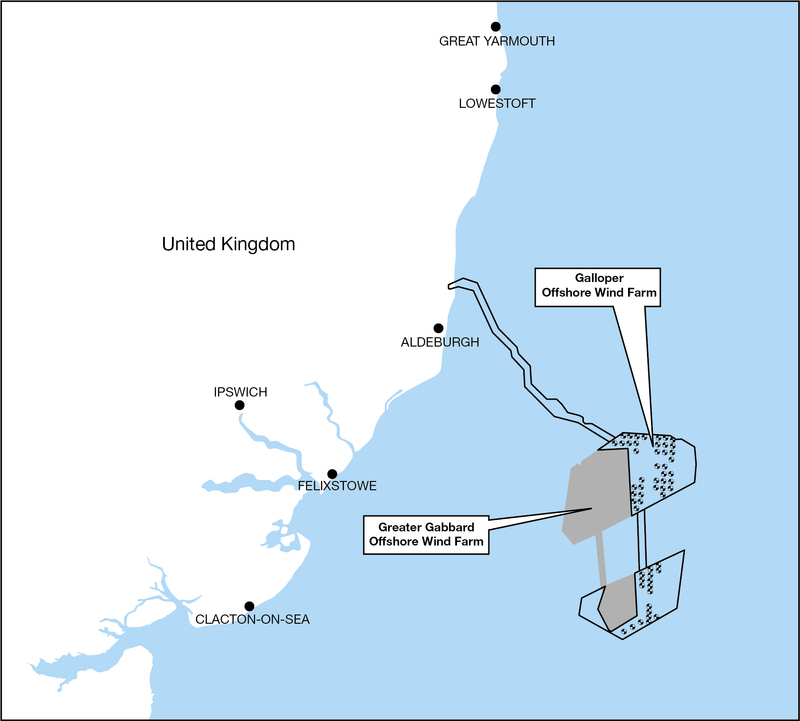 This project was Petrofac’s first offshore wind project in the UK. In bidding for the contract to deliver Galloper’s onshore and offshore sub-stations, Petrofac teamed up with GE, and together they proposed an engineering, procurement and construction (EPC) model that is greatly sought after by offshore wind developers both nationally and internationally. Spend: It is expected that around 75% million of Petrofac’s spend in the project will be spent in the UK economy. This includes direct spend by Petrofac, in addition to spend within its supply chain (including contract with Heerema in Hartlepool to deliver the offshore sub-station platform for the Galloper offshore wind farm. Employment: The Galloper offshore wind project has provided continuing employment for 10 Petrofac employees, and supported the creation of around 25 new sub-contractor employee jobs. Furthermore, Petrofac’s contract with Heerema for the manufacturing of the offshore sub-station platform is expected to support in the order of 200 to 250 jobs at peak construction.